Here’s a question we get asked a lot. Do you rent out your studio to other photographers? The answer: Indeed we do! The rate is $35 per hour, or, $150 for the whole day. Call or email if you’d like to schedule it. Easy as that! 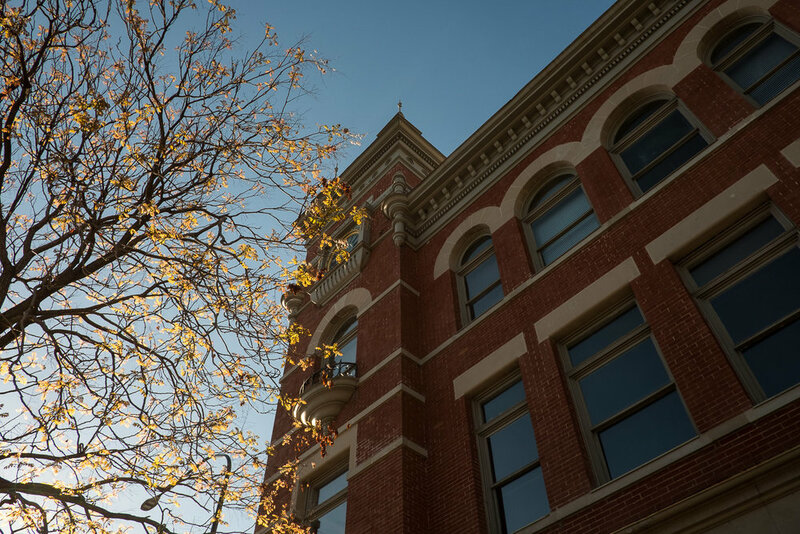 Located in downtown Provo in the historic Knight-Block building, built in 1900, our studio provides gorgeous natural light at any time of day, inspiring creativity for photographers and videographers. 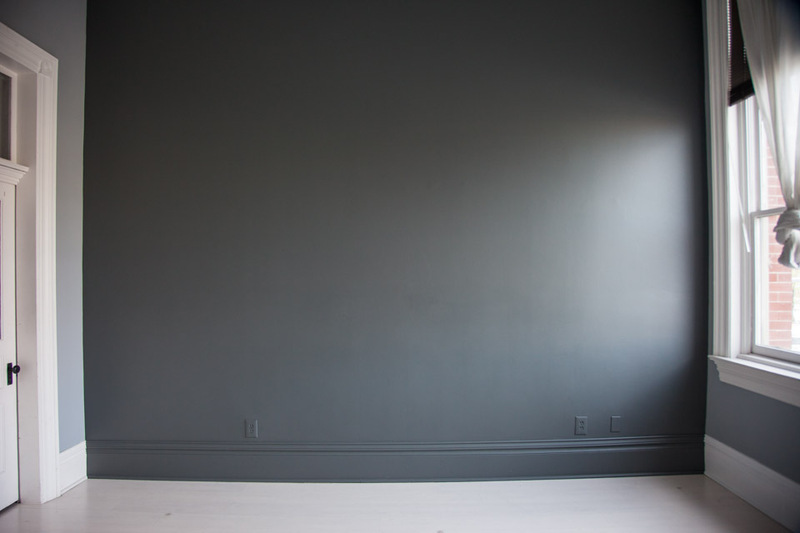 There is a meeting/waiting room for clients, and the studio and shooting space, which is 15x15 in size. For Saturday bookings, there is a two hour minimum. All other days, one hour minimum. Please account for all the time you are here, including your setup and takedown. as that is included in your rental time. Availability - The studio is available Monday - Saturday. To make a reservation or to inquire about availability, call or text (801.916.6993) or email hello@justinhackworth.com. We are happy to help you with available days and times. Saturdays are our busiest days and as such, there is a two hour minimum on Saturdays. The rest of the week there is a one hour minimum. It's wise to plan ahead as early as possible, but often, you can find availability as late as the day before on weekdays. Payment - Payment can be made with cash or check when you arrive. If you are renting the studio for the full day, the full amount is required as a deposit to hold the day and is non-refundable. Equipment - Lighting and other equipment is not included in the rental rate. If you plan on using lights, you'll need to bring your own. There are a couple chairs in the closet. and you're welcome to use those. About the space - The studio is in the historic, downtown Provo Knight-Block building. It was built in 1900, remodeled several times, including most recently, 2016, and maintains all it's original charm. 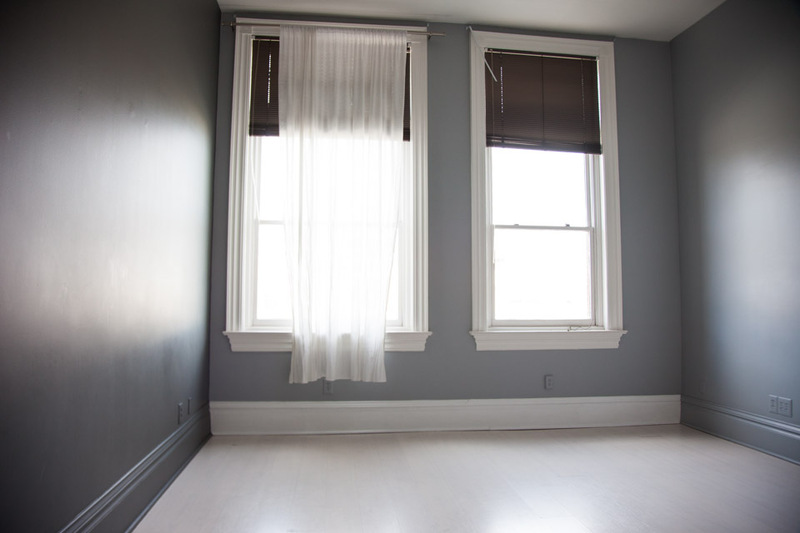 The studio is 15x15 with super high, 13 foot ceilings and gorgeous natural light. 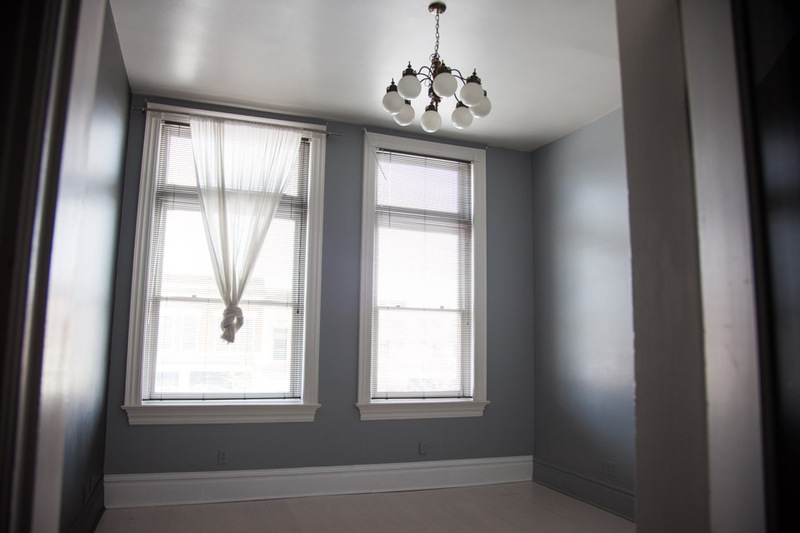 There is a seperate room for meeting clients and can also be used as a waiting room. PLEASE DO NOT TAPE OR NAIL ANYTHING TO THE WALL. Wall color -There are two different colors of walls. A light grey and a darker gray. It's possible to photograph large groups, 12 or more, but it is best suited for smaller groups and individuals. Parking -There is free, 2 hour parking on the street in front of the building and there is almost always availability very close to the building. Alternatively, there is a parking deck very near with free parking without a time limit. Enter on 100 North.